***The explosive fifth novel in the Red Rising Series*** The Number One New York Times bestselling author of Morning Star returns to the Red Rising universe with the thrilling sequel to Iron Gold. For a decade Darrow led a revolution against the corrupt colour-coded Society. Now, outlawed by the very Republic he founded, he wages a rogue war on Mercury in the hope that he can still salvage the dream of Eo. But as he leaves death and destruction in his wake, is he still the hero who broke the chains? Or will another legend rise to take his place? Lysander au Lune, the heir in exile, has returned to the Core. Determined to bring peace back to mankind at the edge of his sword, he must overcome or unite the treacherous Gold families of the Core and face down Darrow over the skies of war-torn Mercury. But theirs are not the only fates hanging in the balance. On Luna, Mustang, Sovereign of the Republic, campaigns to unite the Republic behind her husband. Beset by political and criminal enemies, can she outwit her opponents in time to save him? Once a Red refugee, young Lyria now stands accused of treason, and her only hope is a desperate escape with unlikely new allies. Abducted by a new threat to the Republic, Pax and Electra must trust in a thief for their salvation - and Ephraim must look to them for his chance at redemption. As alliances shift, break, and re-form - and power is seized, lost, and reclaimed - every player is at risk in a game of conquest that could turn the Rising into a new Dark Age. PRAISE FOR THE RED RISING SERIES: 'Pierce Brown's empire-crushing debut is a sprawling vision . . . Ender, Katniss, and now Darrow' - Scott Sigler, New York Times bestselling author of Pandemic '[A] top-notch debut novel . . . Red Rising ascends above a crowded dystopian field' - USA Today '[A] spectacular adventure . . . one heart-pounding ride . 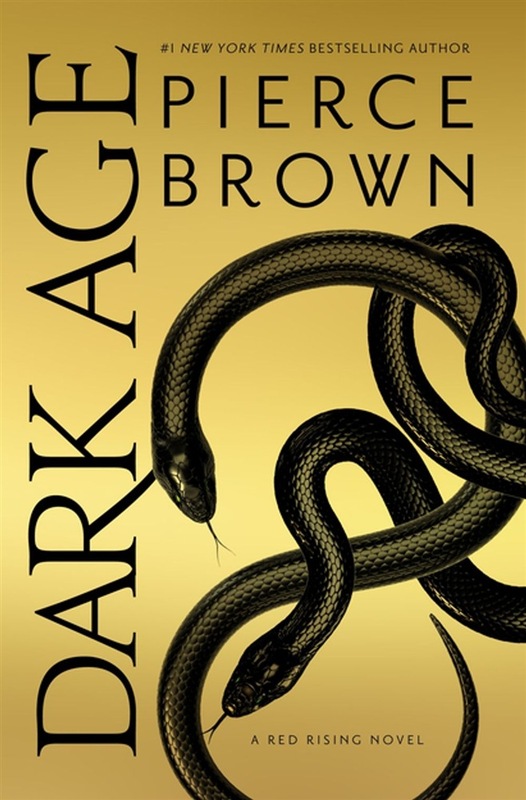 . . Pierce Brown's dizzyingly good debut novel evokes The Hunger Games, Lord of the Flies, and Ender's Game. . . .
Acquista Dark Age in Epub: dopo aver letto l’ebook Dark Age di Pierce Brown ti invitiamo a lasciarci una Recensione qui sotto: sarà utile agli utenti che non abbiano ancora letto questo libro e che vogliano avere delle opinioni altrui. L’opinione su di un libro è molto soggettiva e per questo leggere eventuali recensioni negative non ci dovrà frenare dall’acquisto, anzi dovrà spingerci ad acquistare il libro in fretta per poter dire la nostra ed eventualmente smentire quanto commentato da altri, contribuendo ad arricchire più possibile i commenti e dare sempre più spunti di confronto al pubblico online.